« The World Loves Ethiopian Pop Star Teddy Afro. His Own Government Doesn’t. New York (TADIAS) — Antu Yacob’s Ethio-American play “In the Gray” was featured at the 2017 United Solo Theatre festival in New York City this past Sunday. Antu was the first Ethiopian American to have a play staged at the festival, which is the largest solo theatre festival in the world. 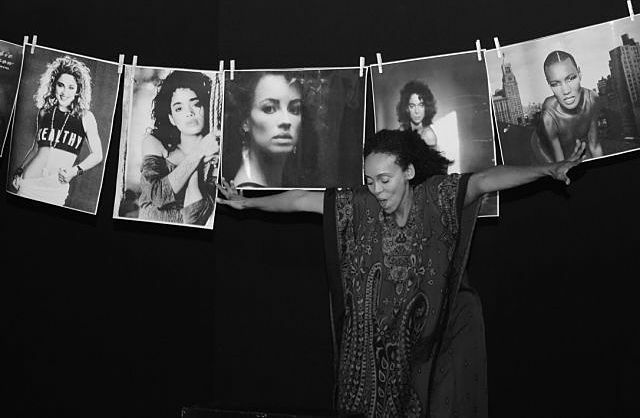 The 75-minutes storytelling and performance art narrates Antu’s personal experience while growing up in the United States as she forms and re-negotiates her Ethiopian-American identity first as a teenager and later an adult pursuing a career in the theatre and film industry. In the Gray features Antu playing several engaging characters including herself, her 8-year-old son, as well as her muslim and Oromo activist mother who lives in Minnesota. In the Gray is directed by Celestine Rae with lighting & set design by Matthew Fick, show image by Anthony Artis and executive produced by Tadias Magazine. Antu, who holds a Master of Fine Arts degree in Acting from Rutgers University in New Jersey, grew up in San Francisco and Minnesota. Her acting career includes roles in NBC’s Law & Order: SVU and the recently released Netflix series Gypsy. She played lead roles in the films Eminent Domain (DeepFreeze Media) and Walking In Circles (NYU Film/Elegance Bratton) as well as supporting roles in Conjure (TerraLuke Media) and Fine Art (Shannon Ousley/Zoe Munlyn). Her play entitled Mourning Sun, set in Ethiopia and New York, was performed at the West End Theatre in Manhattan in 2015 and at the 2016 Kampala International Theatre Festival in Uganda last Winter. The film Conjure, which she produced and acted in premiered at the 2017 Hip Hop Film Festival in August and won several awards including the Vanguard award (writer and director Adrian Luke Sinclair) and Best Supporting Actor award (Charles Richard Barboza). Likewise the Netflix series Gypsy in which Antu makes a guest star appearance as Sasha Knolls is currently playing.